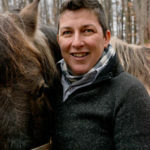 Horse Speak – Phase II Clinic-SOLD OUT-Auditors Welcomed & Encouraged! 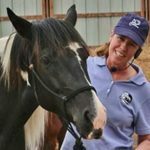 This Phase II clinic is designed for those who have participated in a previous Horse Speak Phase I clinic or have gained Horse Speak experience through working with Sharon Wilsie or Heidi Potter. Create harmony and bring enrichment to the relationship you share with your horses.Deepen your understanding of equine behavior and the subtleties of their communication system. This weekend includes workshops in theory, interactive exercises with humans, herd observation, sharing space with horses at liberty and in-hand application.